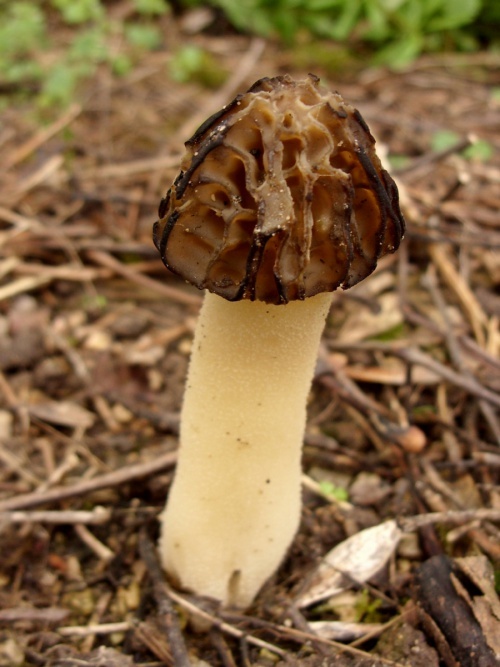 The conical brownish cap appears to sit as if placed on top of a sturdy cream-coloured stem. 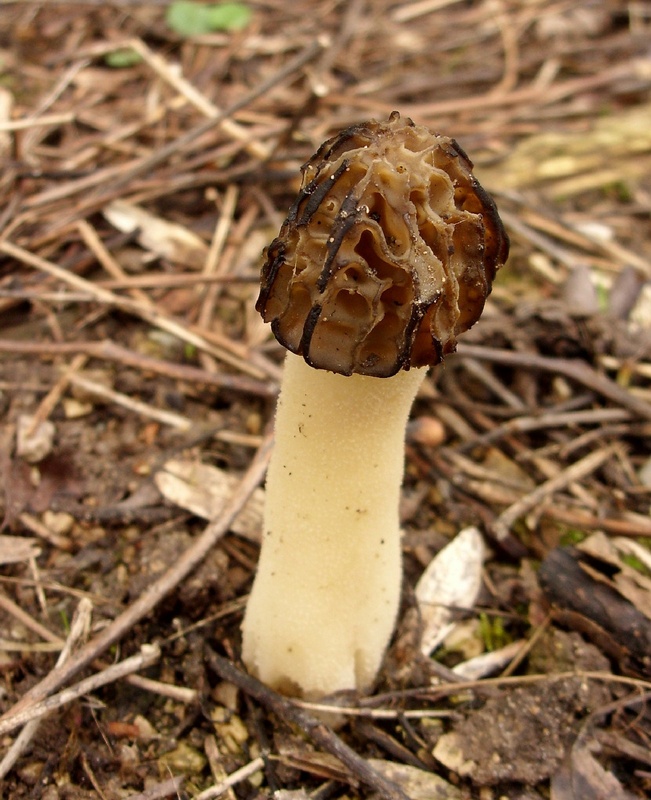 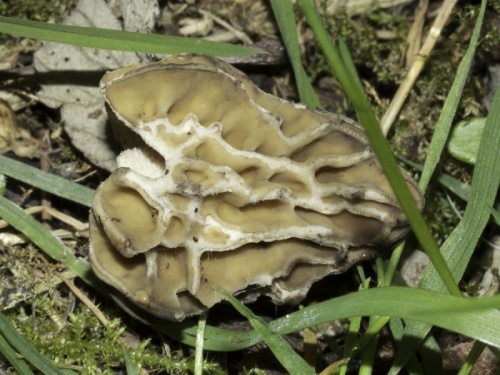 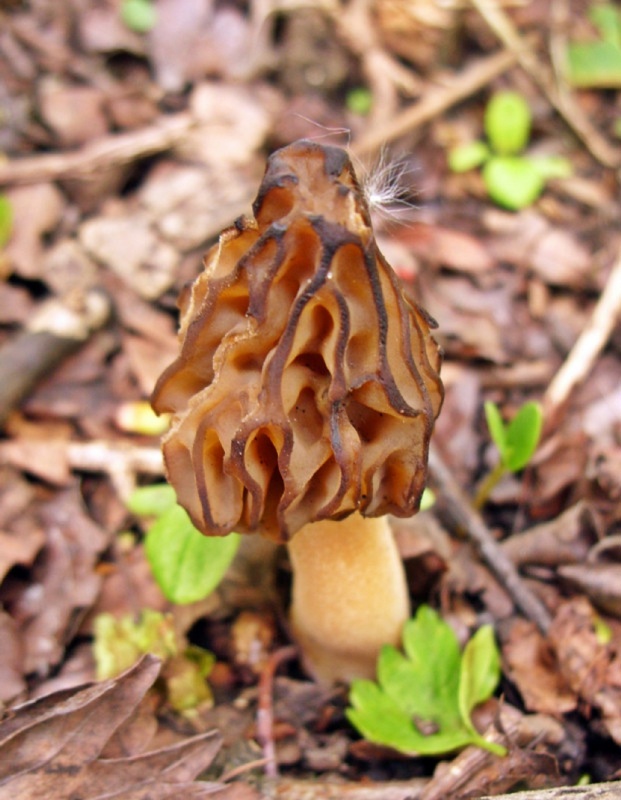 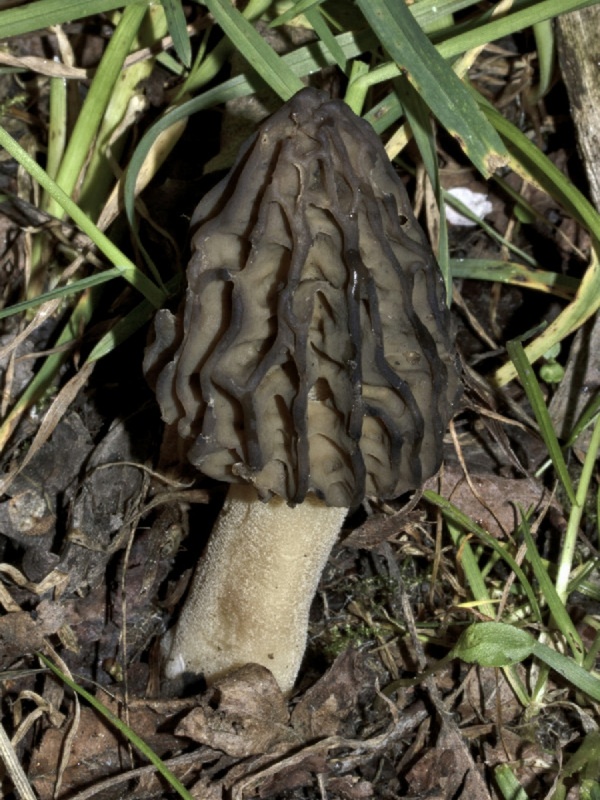 The lower part of the cap is not attached to the stem as it is in the Common Morel, hence the name ‘Semi-free Morel’. 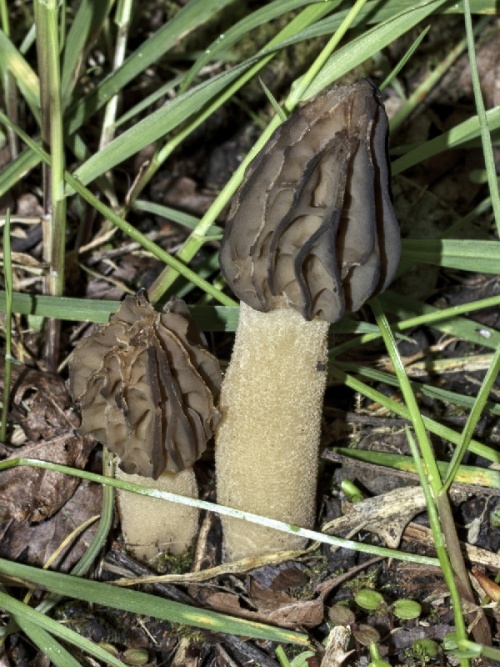 Damp woodland, particularly on calcareous soils. Widespread in much of England except the south-west but quite uncommon. 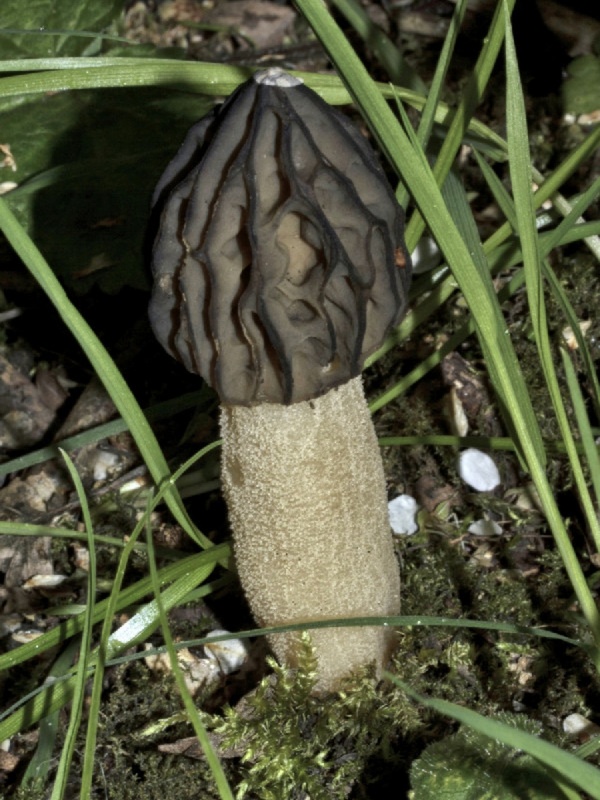 Scarcer elsewhere in Britain.